Dundee remain without a win this year after playing out a 1-1 draw with Kilmarnock at Dens Park. Kris Boyd put Kilmarnock ahead early on and although Kevin Holt drew Dundee level before the break, Paul Hartley's men could not find a winner. A draw was just about the right result in this hard-fought re-arranged fixture between two sides fighting to finish in the top-six this season. 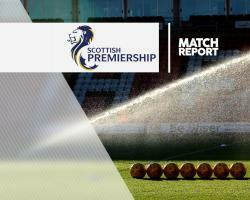 Dundee had yet to pick up a victory in their three competitive matches in 2017 and hopes of improving that record looked slim when Kilmarnock took an eighth-minute lead in simple fashion. With Kevin Gomis in hot pursuit, Boyd got just enough power on the ball for it to trickle into the net and get the Ayrshire club off to a flier. Dundee were shaken by that early setback but had a chance to level in the 17th minute. Former Killie midfielder Mark O'Hara found himself clean through and he steadied himself before firing off a left-footed shot which was saved by visiting keeper Freddie Woodman. However, the hosts only had to wait another 10 minutes to get back on level terms thanks to Holt. Cammy Kerr's diagonal switch was perfect for Holt to run onto and the full-back smashed a low left-foot volley across Woodman and into the corner of the net. That helped put the home team on the front foot and twice they came close to taking the lead before half-time. The Canada international looked like he was picking his spot but saw his header from close range blocked by the Killie defence. The second half started with Boyd latching onto Gomis' short pass-back, but Bain did well to race off his line and clear the danger. At the other end, Ojamaa's 75th-minute cross was met by Haber but the big striker was at full stretch and could not direct his effort on target. With six minutes left, Dundee came close again when substitute Marc Klok's deep cross was headed downwards by Kostadin Gadzhalov, but Woodman saved before home substitute Faissal El-Bakhtaoui dragged his late shot past the post as the points were shared.